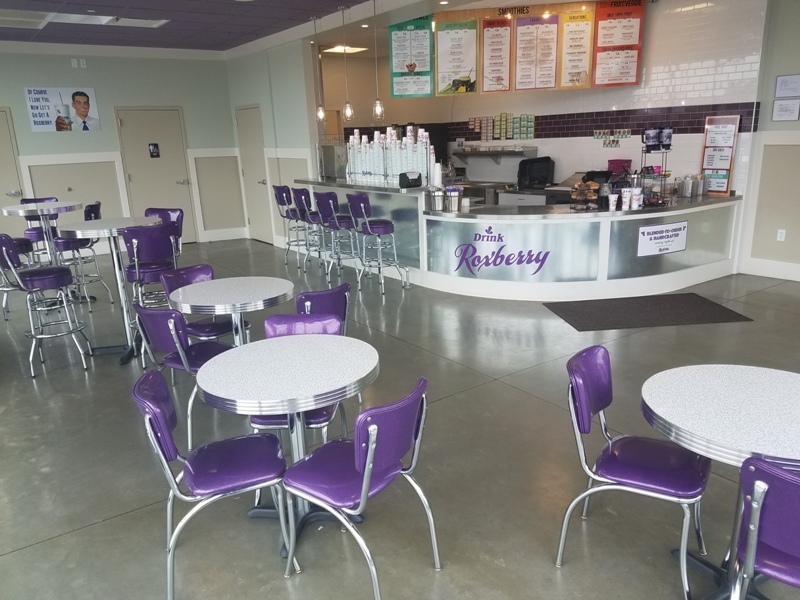 Roxberry's mission is to provide their customers with the best quality Smoothies, Healthy Bowls and Fresh Pressed Juices available. 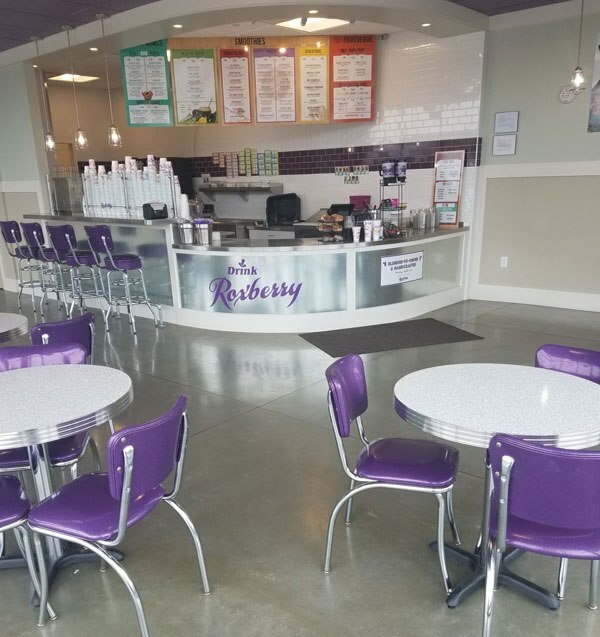 They contacted Heffron's to supply their BGA 225 table tops, 921 Retro Chairs, and 215-125-RB Retro Stools in Grade 5 Polaris Cosmic Purple. All seen in the photos provided. 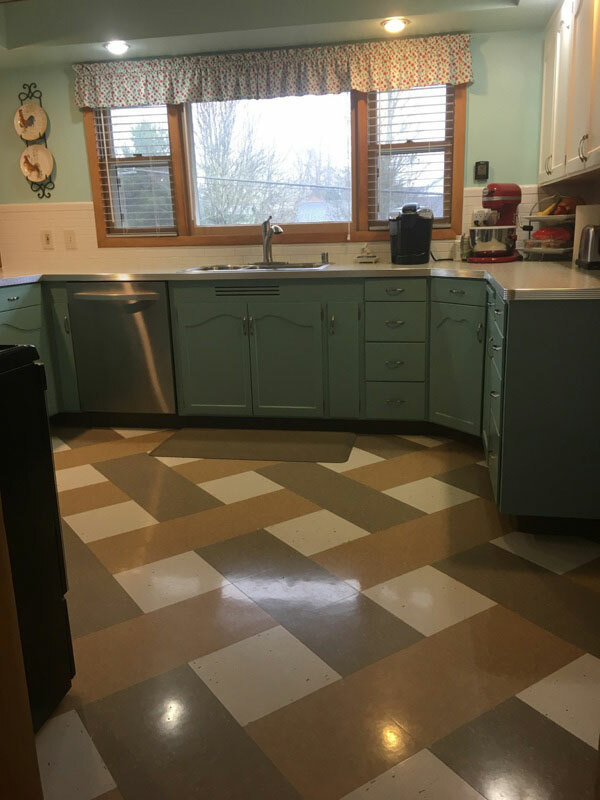 Hi Danielle - Here are a couple of pictures of my kitchen with your banding. 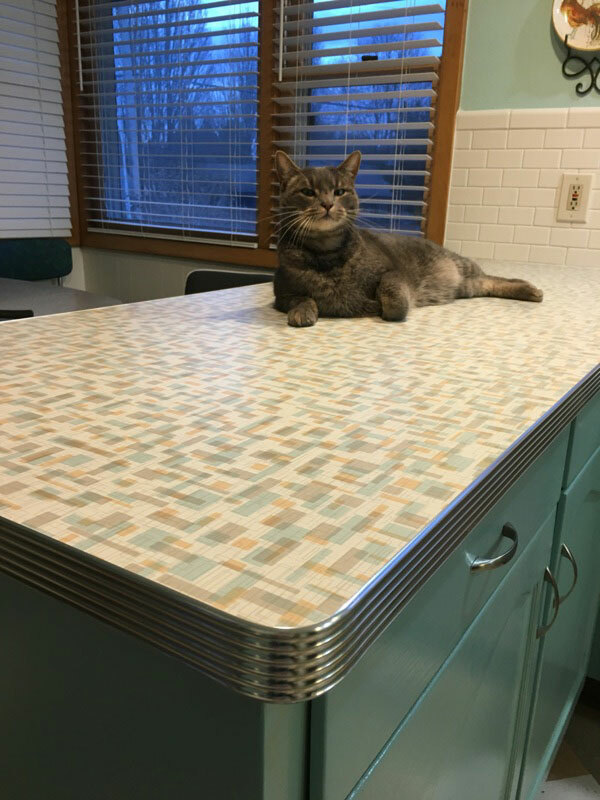 I shared them on the Mid Century Modern Kitsch Facebook page and everyone went nuts for them! 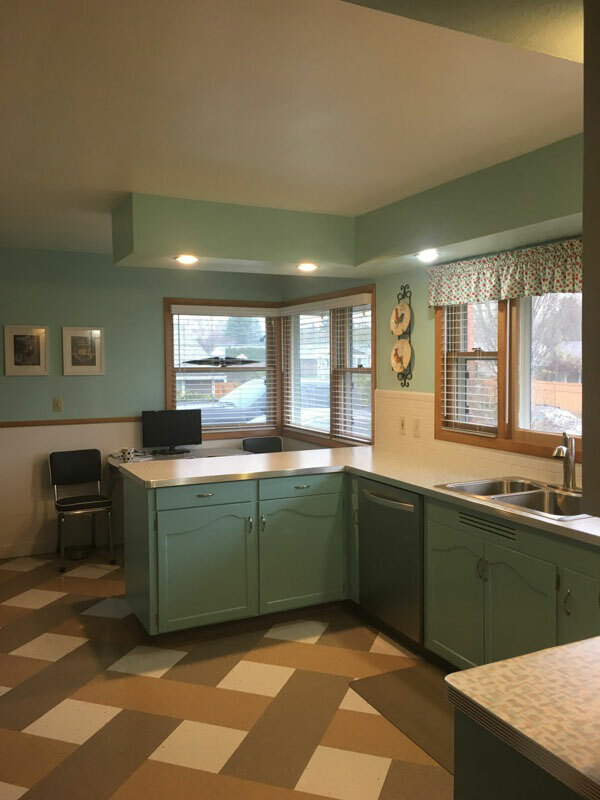 This photo features the E-625-BD Metal Banding from Heffrons.com and a great looking kitchen. 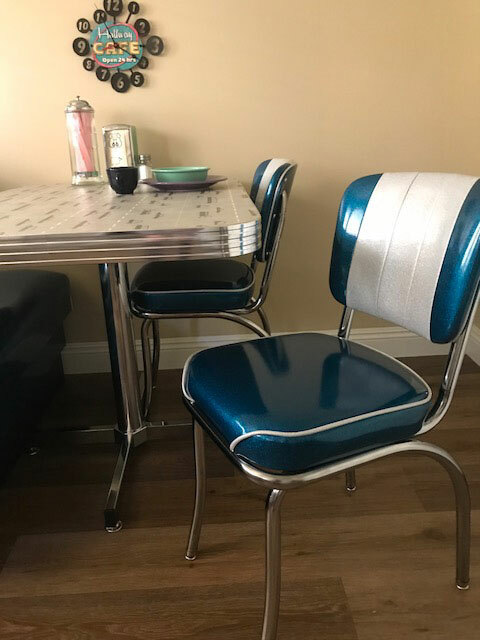 Very happy with my table and chairs. They are perfect. 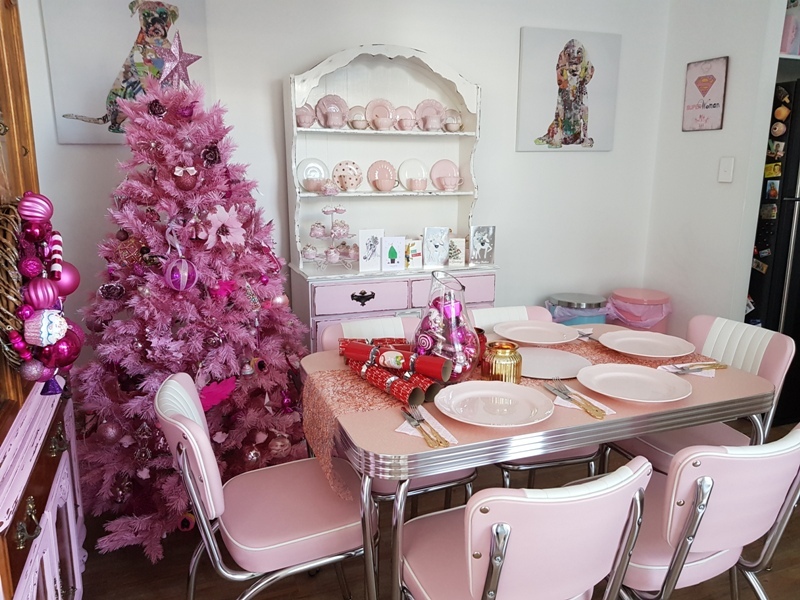 Here is a photo of it styled for Xmas. 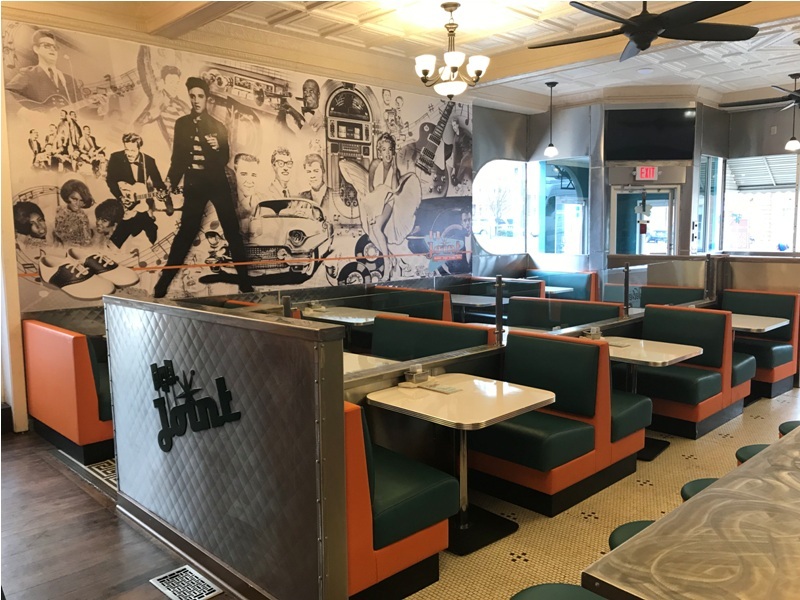 The Joint offers a new twist on the old 50s-style diner. 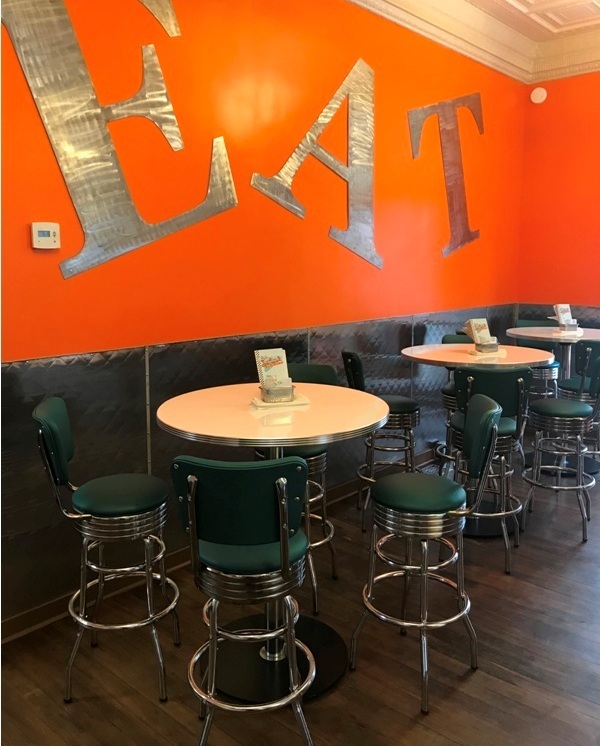 They provide a modern flair and an updated menu that respects the past but gives the new kids a chance to shine. 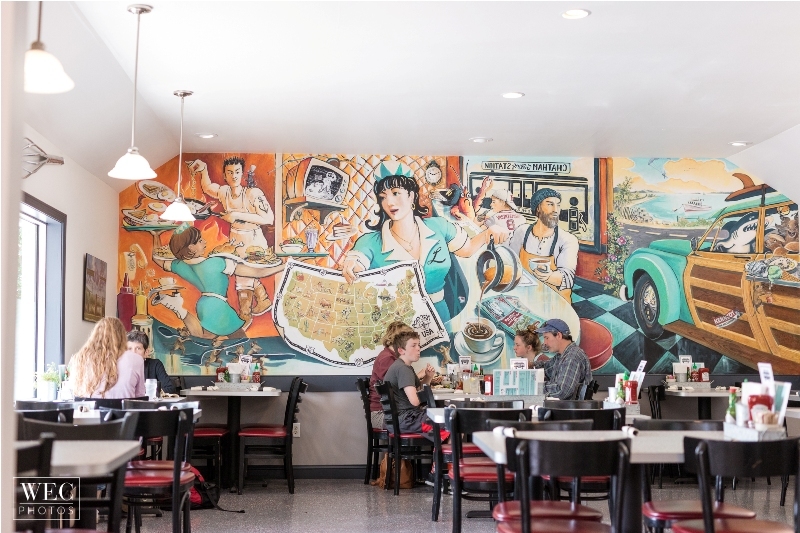 You'll fall in love with the environment way before you get to the food. 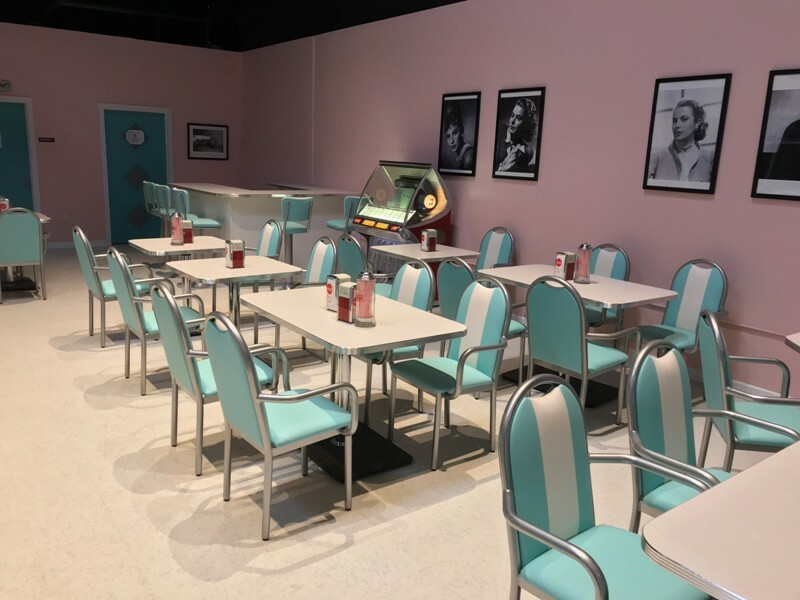 Town Square is a one-of-a-kind experience featuring a unique indoor, interactive simulated urban enviroment utilizing reminiscence therapy. 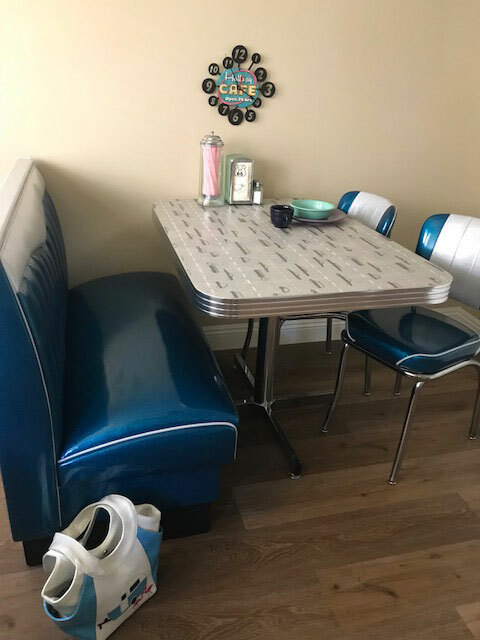 Located in California, the George G. Glenner Alzheimer's Family Center contacted us for a variety of items from Malibu booths, PB-PS chairs, BGA 125 table tops and more. Heffron's workmanship is flawless. 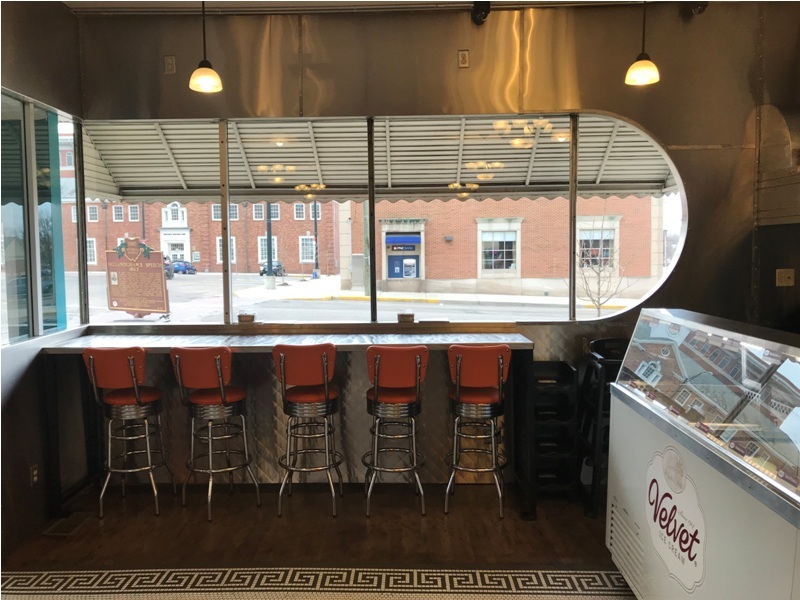 I ordered a custom-made booth, table and retro diner chairs. I was initially concerned both about quality and shipping, since I didn't want my product damaged as it traveled from New York to California. At the unveiling, I reviewed my product from top to bottom and every inch was of the highest quality. This was the kind of workmanship from my grandparents' day. Heffron obviously takes the time to treat each customer like she is the most important. 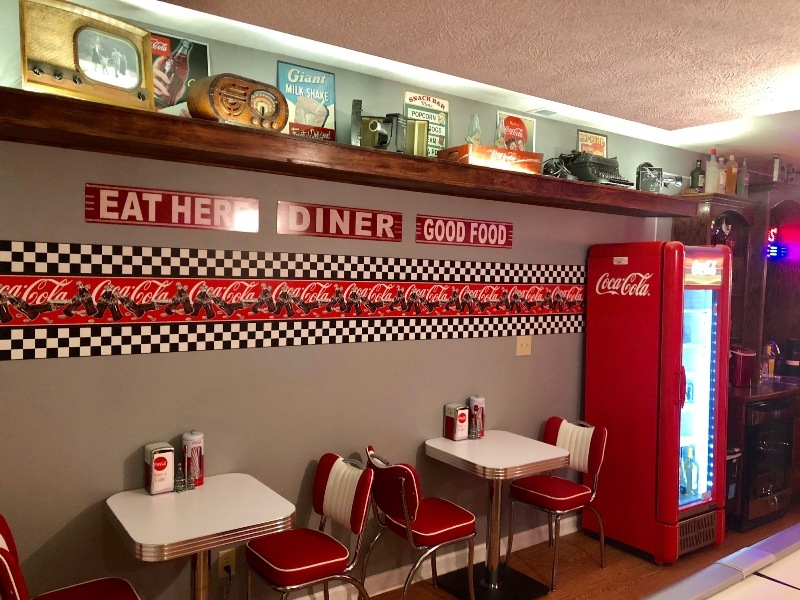 I purchased this for my home because I wanted my kitchen to be Route 66 themed. 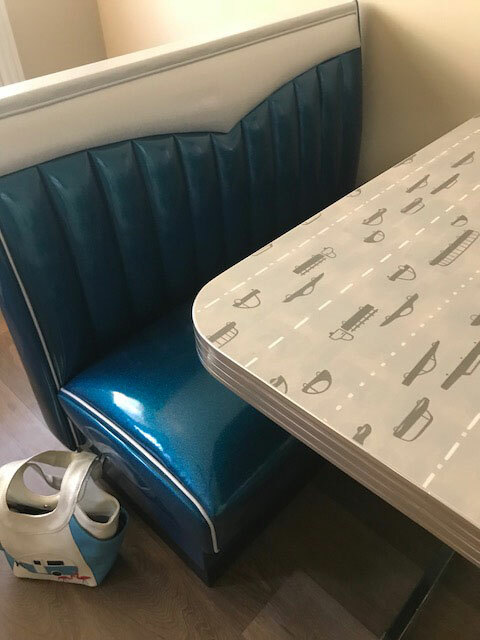 I was concerned that because I purchased just one diner set, it wouldn't have the same commercial quality as if I had spent money on outfitting an entire diner. I was wrong. 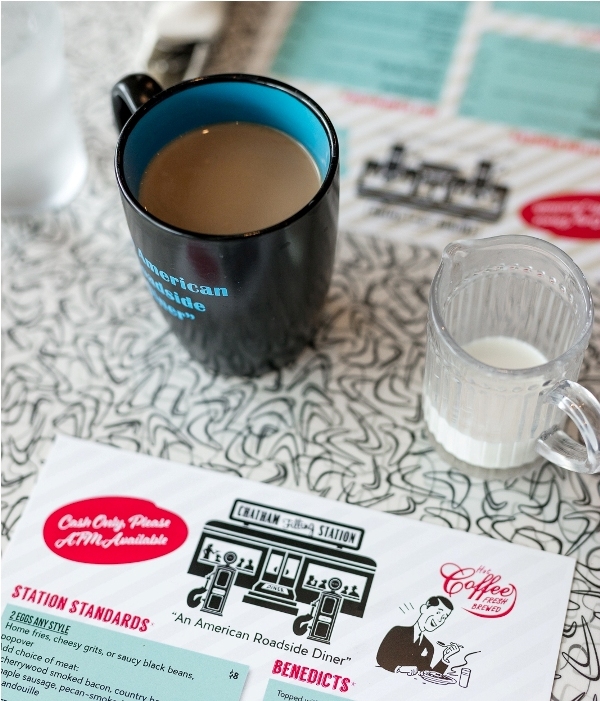 Every person who comes to my house gasps with glee and jealousy at my Heffron diner set. Everyone wants to eat in now. Thank goodness for delivery because I never planned on all of this cooking. 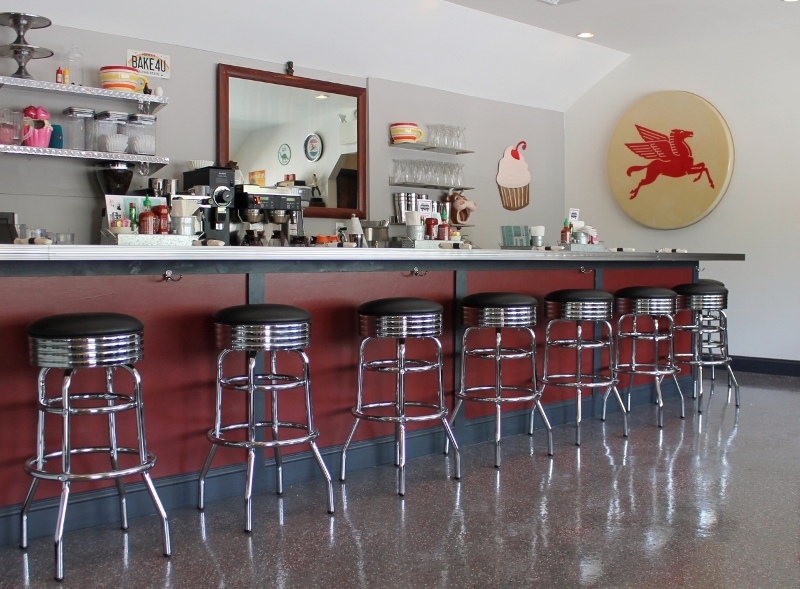 Received the stools and they are great. Very good workmanship and quality. Will most definitely recommend Heffrons to friends and family. Thanks from a very satisfied customer. Featured in this photo includes BGA 225 Tabletops in White matte finish. 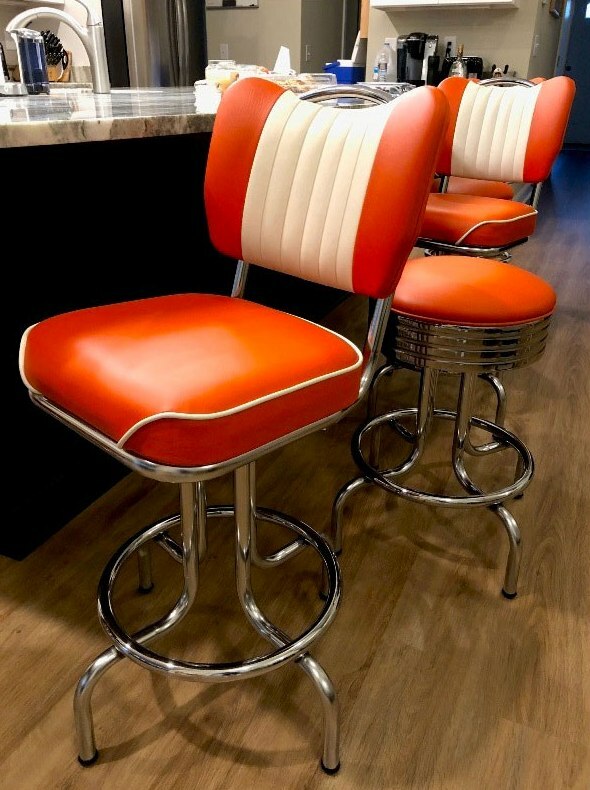 Along with 921 HBMBSH Retro Chairs in a mix of Flame and chalk insert/piping.